New Zealand’s National Party has won its appeal against Eminem’s publishers. The party was previously ordered to pay $600,000 for infringing the copyrights of Eminem’s track “Lose Yourself” in a 2014 election spot. But, on appeal, the damages amount was reduced to $225,000. In recent years, New Zealand has been the center stage of the largest copyright battle in Internet history; the criminal prosecution of Megaupload’s Kim Dotcom. While this case remains ongoing, one of the country’s largest political parties is facing ‘infringement’ problems of its own. In 2014 Eminem’s publisher took the National Party to court over alleged copyright infringement of the rapper’s track “Lose Yourself” in an election campaign video. At the time, the party was led by then Prime Minister of New Zealand John Key, who was seen as Dotcom’s nemesis. In common with the Megaupload case, the dispute between the National Party and Eminem’s publishers wasn’t resolved swiftly either. The initial court proceedings made it clear that the National Party didn’t simply use the song without paying for it. It actually sought professional advice before starting the campaign and licensed a track called Eminem Esque, which they then used in the campaign ad. 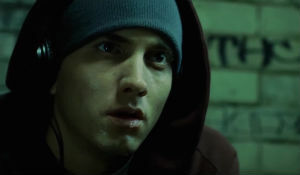 The party hoped to avoid more expensive licensing fees by using the knock-off song, but the court previously ruled that the similarities between Lose Yourself and Eminem Esque are so significant that it breached copyright. Last fall the High Court sided with Eminem rightsholders Eight Mile Style and Martin Affiliated, ordering the National Party to pay $600,000 in damages. However, neither side was happy with this figure and both appealed. The court based the damages amount on a “hypothetical license fee” but the National Party argued that the number was too high. At the same time, Eminem’s rightsholders wanted to increase the scale of the damages. This week, the Court of Appeal sided with the National Party. In its verdict, the court notes that the party crossed a line. “On the evidence, the proposition the National Party turned a blind eye to the risk of copyright infringement or saw a risk and embarked on a reckless course of conduct with respect to that risk was not sustainable,” the decision reads. However, at the same time, the Court of Appeal agrees that the original damages amount was too high. It, therefore, reduces the damages amount from $600,000 to $225,000. There is no question that the music breaches Eminem’s copyright, but the baseline figure that was initially used should have been lower. The track would only be used for 11 days and targeted a limited audience. “The advertising message was only relevant to a relatively small population, and the minimum baseline concept negated proper consideration of a territory-related license,” the court explained in a summary, shared by the NZ Herald. The lowered damages amount is a clear win for the National Party. Whether Eminem’s rightsholders have plans to challenge the Court of Appeal’s decision is not known at the time of writing.